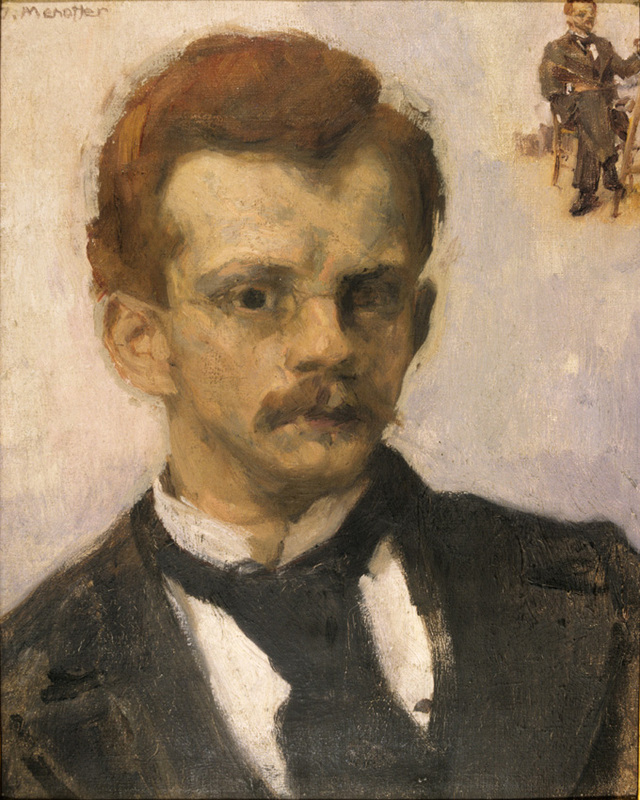 Jozef Mehoffer was a Polish painter, one of the leading artists of the Young Poland movement (Art Nouveau in Poland) and one of the most revered Polish artists of his time. He was born in 1869 into a polonised family of Austrian high officials. He studied painting at the Academy of Fine Arts in Krakow between 1887 and 1894 under, among others, Jan Matejko. He was also a recipient of scholarships in Paris and in Vienna. Jozef Mehoffer explored various artistic techniques and media throughout his career. He is considered to be a master of decorative arts in the Art Nouveau era. Besides painting, he created graphic art, crayon portraits, chalk drawings, etchings. A separate, but major part of Mehoffer’s works is graphic design. He created numerous book covers, book illustrations, title cards, ornaments, vignettes, initials, etc. and also designed posters, trademarks, banknotes. All of his designs and creations were of top artistic value and are the most beautiful examples of Art Nouveau in Poland. Jozef Mehoffer was also acclaimed stained glass and polychrome designer. He gained international recognition with designs of stained glass windows for the Gothic St. Nicholas church in Freiburg, Switzerland. He shared an interest in stained glass art with another representative artist of the Young Poland movement, Stanislaw Wyspianski. House on the Krupnicza Street was bought by Jozef Mehoffer in 1932. It was built in the mid 19th-century and had already left its mark in the Krakow’s history. During insurrections, it was one of the safe houses for conspiracy activists. Later, the house was in possession of the Wyspianski family and, so it happened, that in 1869, Stanislaw Wyspianski, a future friend of Jozef Mehoffer was born there. Mehoffer carried out a thorough renovation of the house, leaving the structure of the building unchanged but introducing new divisions of the interior. It became a warm and artistically arranged family residence. The Mehoffer family called this house “Palace under the cones” thanks to pine cones, that are part of the decoration of the hall and staircase. Jozef Mehoffer was fascinated by the old garden in the backyard of the house and devoted himself completely to designing it. His efforts resulted in creating a green enclave in the heart of the city, beautifully changing every season of the year. In 1963, almost twenty years after Jozef Mehoffer died, his son Zbigniew made first attempts to establish a museum in the artist’s name in the family house. The reconstruction works began but were completed only in the early 1990s. According to the will of the artist’s family, the house was handed over to the National Museum in Krakow for the purpose of the museum’s branch, dedicated to Jozef Mehoffer. 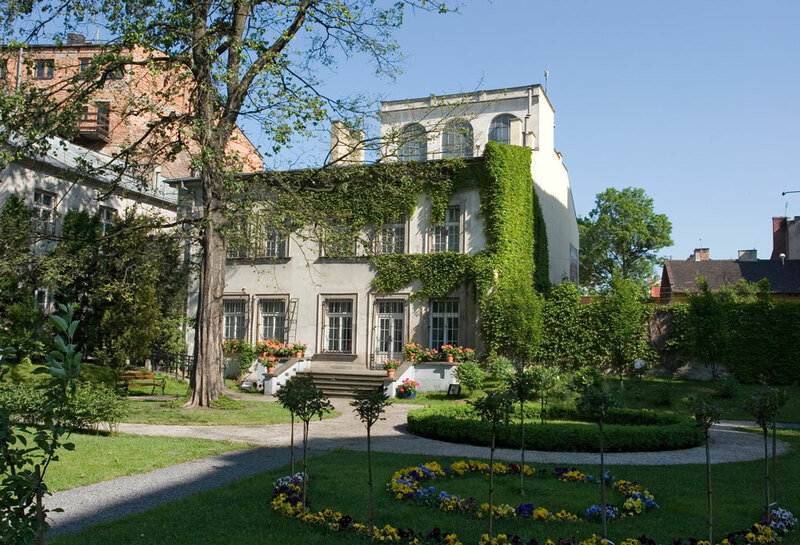 Jozef Mehoffer House is not only a biographical museum dedicated to the artist. It is also a museum of the interior, decorative arts and, to some extent, art museum. 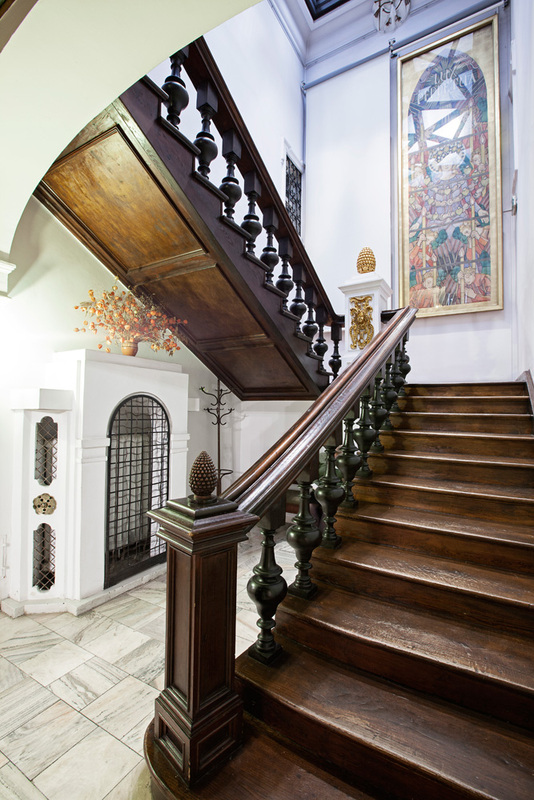 Furniture, arts and crafts, decorations that helped to arrange the museum interior were donated by artist’s grandson, Ryszard. He also passed iconography, photographs, a library and a collection of textiles. The museum has received a deposit of sculptures, three stained glass windows, 120 oil paintings, drawings, designs of polychrome and stained glass windows, Japanese woodcuts and a collection of family memorabilia. All of those are displayed in 16 rooms in the museum and perfectly reflect the atmosphere of the artist’s family house from the Art Nouveau era.